I’ve always got my eye out for anything related to Italy and Italian style. Flipping through a copy of The Cut, the New York Magazine style and fashion weekly I was pleasantly surprised to see how much Italian fashion designers were featured in the American market. Italian fashion brands in the USA are no longer guest stars but now, the star of the American fashion pages. Italian Fashion Never Goes Out of Style is an article I wrote for Italo-Americano magazine which illustrates the development and relationship between the Italian fashion houses and the US market. Starting in the 50’s when business visionary Giovani Battista Giorgini invited six of the United States’ most powerful buyers and a handful of international journalists to a lavish event hosted in his Florence residence at Villa Torrigiani. From that point on, the Italian fashion week Milano Moda has attracted buyers from the US and interest spread to global markets. 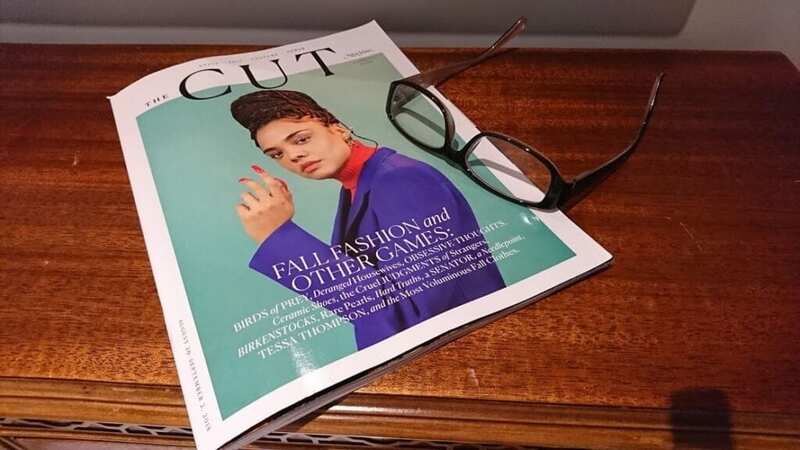 The Cut Magazine issue that caught my eye was of August 20th to September 2018, featuring Tessa Thompson on the cover. The first double-page spread ad was for Gucci. The second double-page spread ad was for Dolce & Gabbana. The third double-page ad was for Prada. There was a fourth double-page spread for Bottega Veneta. The entire fashion magazine was 93 pages and already 8% had been allocated to Italian designer ad space. Other ads followed; Miu Miu, Stuart Weitzman, Bloomingdale’s and then the table of contents which featured an artistic photo of a model in a red Dolce & Gabbana gown. The following pages featured American designers Michael Kors opposite an editorial featuring Bulgari jewelry and Fendi boots. A shoe shopping editorial on page 37 featured 3 Italian brands: Versace, Bottega Veneta, and Dolce & Gabbana. Flip to page 58, a shopping list editorial featured Sergio Rossi (twice,) Dolce & Gabbana (3 times), Marni (twice), Gucci (twice), Prada, Bottega Veneta and Max Mara. An Alberta Ferretti hat was the focal point of a Lucas Michael photograph. Looks like Italian fashion is here to stay.